Here’s one of my major New Year’s Resolutions for 2012: Be kind. You know, we all make resolutions when a new year begins, don’t we? Usually they are of the “lose weight,” “pray more,” “go to bed earlier,” variety, trying to instill some discipline into our lives when we feel that the previous year has been lacking in that regard. And who of us doesn’t feel that some sort of discipline has been lacking? I must say that in 2011 I lost 15 pounds! 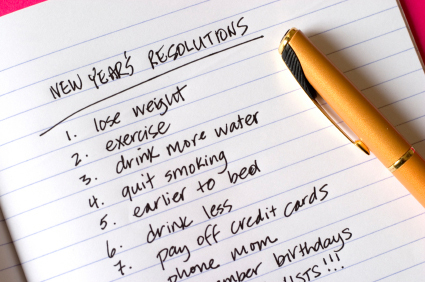 I’d like to lose another 15 or 20 in 2012, so there’s another resolution, but it’s not at the top of my list. After so many years of struggling with my weight, I know myself well enough to know that this could be an up year, or it could be a down one. Like the proverbial yo-yo, I have trouble (like so many of you reading this) with maintaining an even keel where weight is concerned. And yes, I am concerned about this, the older I get. That’s why I try not to eat anything past 6 o’clock in the evening if at all possible. I make it my business to eat my biggest meal lunch whenever I can. I walk on the treadmill in my office at least six days a week for at least 30 minutes very early in the morning. I also would like to pray more. What follower of Jesus Christ wouldn’t admit to that resolution as a new year starts up? I have yet to meet the person who says, “You know, I pray way too much. I’m going to have to cut back on my prayer time.” Instead, we all grapple with the time factor, trying to fit too many activities into too few hours a day. Do I pray in the morning, when I’m fresh and alert (more or less), in the afternoon, when I tend to drop off into naps if I’m comfortable, or in the evening, when the danger increases that sitting in one position will bring on sleep? Do I pray standing or pacing instead of sitting to allay the danger? Should I just find a few people who would like to pray more and schedule time with them, even though I am committed to less commitments instead of more this year? All of these questions beset me…and so I’m glad that praying more isn’t really one of the top resolutions on my list. “Go to bed earlier.” If I went to bed any earlier, I’d hardly make it past the 6 o’clock news. I get up so early in the morning, force of habit, that my time clock tells me early in the evening that it’s time to call it a day. I’m like the old-fashioned farmer who went to sleep when the sun went down. Don’t tell me that we now have artificial lighting. I don’t care. When the sun goes down, there’s just no reason to stay awake. So I am already adhering to the resolution of early bedtime. To make it any earlier would be just plain silly. But what I can and will try to do this year as a priority resolution is to be kinder. To be more aware of the people around me as I move through my day, so that I can offer a word, a touch where appropriate, a comment that lets someone know that they are appreciated, valued, seen and heard. It doesn’t cost anything, it is something that pleases the heart of God, and the fact that I can train myself to do it more is a wonderful discipline beyond the disciplines we normally think of as part of the Christian life: Bible reading, prayer, church attendance. What good do these disciplines do if we’re not going about in the community as light to the world, as someone people like to actually see and meet? “Oh, there’s that woman who reads her Bible every day, who prays for an hour every morning.” No one says that about you or me. Not unless we tell them, and that smacks too much of practicing a righteousness before men that of course isn’t really righteousness at all according to Jesus. There’s nothing on our face or demeanor that says we pray daily or that that morning we read through the gospel of John. But a word spoken to someone in kindness, a brief sentence or two that was unnecessary but said anyway: that’s the lasting mark that touches hearts and heals souls. Everyone likes to be seen, really seen. Everyone likes to have eye contact made and their name spoken back to them, to be acknowledged as if they really do exist and are of some importance. And yet why don’t I do it more often? So that’s a part of the “Be kinder” resolution for 2012 for me: consciously and deliberately taking the time and trouble to touch with words those around me so that their day is brightened. And yet, a very big deal. Great thoughts Rita. May God allow us to be charitable to everyone. You’re a great one! Thank you Rita. You are absolutely right and I needed the reminder to be “kinder”!